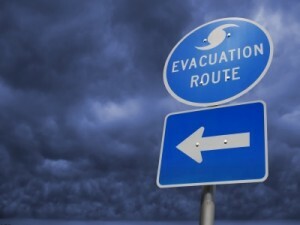 Once again we are at the beginning of “hurricane season;” and by all accounts, it seems that the weather forcasters feel it could be a fairly rough one ahead – with several storms expected to make landfall in the continental U.S. That means now is the time to prepare – stock some dried or canned food, batteries, bottled water, and think about how to best secure your home. For some, that means shutters, storm panels, or plywood. Many others think about installing Safety and Security window film – and that’s when they call Solar-X of Sarasota . . .
Solar-X sells Armorcoat™ Safety and Security Film; a highly impact-resistant window film product of extraordinary quality. It can provide an elevated level of protection for your home by holding glass fragments in place after being struck by windborne debris; keeping wind and rain out, and minimizing interior damage. And because it is permanently installed, it requires no preparation before the storm. That’s why many people who live “out of state” prefer it to other storm protection products – especially in communities where they are not allowed to shutter their windows and go away for the whole summer. People who are not physically capable of installing exterior protection also take comfort in knowing that Armorcoat™ is “on the job.” And because Armorcoat™ is available in both “clear” and “sun control” versions, it can do “double duty” by reducing heat, glare, and fading in your home. If you are considering the purchase of Safety and Security window film, however, consider this. Once installed, Safety and Security film is a “component” product – a part of your existing glazing system. If your windows are old, poorly installed, or low quality – an application of Safety film will not suddenly put them on a par with today’s impact-resistant “hurricane glass.” Ask questions, and make sure that the performance of a product such as Armorcoat™ meets your expectations and fits your lifestyle. Contact Solar-X of Sarasota today for a no-obligation consultation. Our nearly forty years of industry experience enables us to help our clients in Bradenton, Sarasota, and Venice make practical, responsible purchasing decisions based on realistic performance expectations. That is why we continue to be the area’s premier window tinting contractor, since 1973.